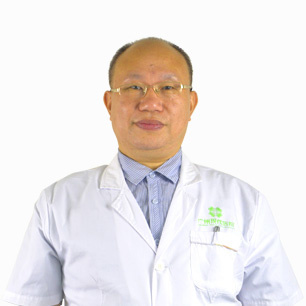 Dr. Pan Luo has been working in oncology clinic more than 25 years, gaining a solid theoretical level and rich experience in clinical practice. He once had worked in tertiary hospitals such as Affiliated Hospital of Guangxi Medical University, Sun Yat-sen University No.5 Hospital, 421 Hospital of PAL,etc. he also had worked as attending physician of oncology department of Kiang Wu Hospital. Skillfully mastering all kind of comprehensive cancer treatments like radiotherapy, chemotherapy, biological and molecular targeted drugs, combination of traditional Chinese medicine and western medicine, etc., Dr. Pan has committed to the research of standardization and individualization of multidisciplinary treatment for all kinds of malignant tumors.